Fairey Firefly aircraft ready to be transported to the hangar lift, HMS 'Venerable', 1945. HMS 'Venerable' was a 'Colossus'-class aircraft carrier commissioned in 1944. She served in the Pacific in the last few months of World War II but was sold to the Netherlands in 1948. 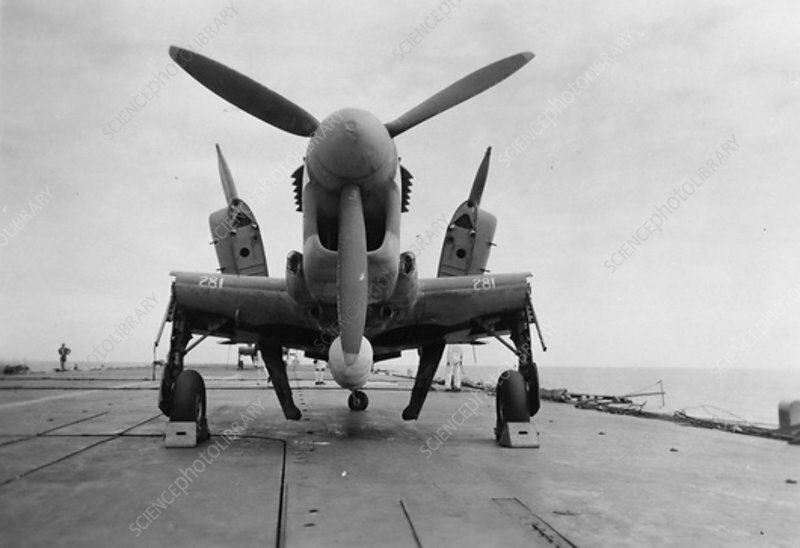 The Fairey 'Firefly' was a carrier-borne fighter and anti-submarine aircraft that entered service with the Royal Navy in 1943.